By now you’ve heard the news about the Zika virus and if you’re pregnant, you may be worrying for two (or more!). 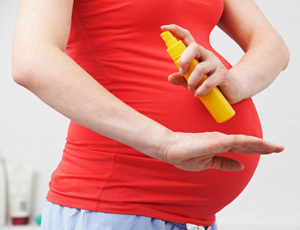 We’ve been getting a lot of questions from expecting mothers about the nasty-sounding bug, and we wanted to address your concerns and give you some tips to avoid the dangerous Zika virus. The Zika virus is contracted from Aedus -- the mosquitos that also carry yellow fever and dengue mosquito bites. In 1947, scientists found monkeys that carried the disease in the Zika Forest of Uganda. For most people the symptoms of the Zika virus are relatively mild. It should be noted that severe illness or death from the Zika virus is extremely rare, but the potential complications for pregnancies and babies is quite serious. Every day, there seems to be some new gimmick that emphasizes weight loss and “high-school skinny.” There are thousands of advertisements, drinks, supplements and programs that prey on women’s insecurities. While having a fit body does have its perks, that doesn’t necessarily mean that you have achieved balanced well-being. A healthy lifestyle comes from feeding both the mind and the body through positive and sustainable habits and experiences. While this may seem like a no-brainer, seven hours of deep, restful sleep can be difficult for a lot of women to get. According to Women’s Day, 35 percent of Americans get less than seven hours of sleep every night. You already know that lack of sleep can lead to exhaustion, but did you know that it can increase your risk of heart disease and Type 2 Diabetes?